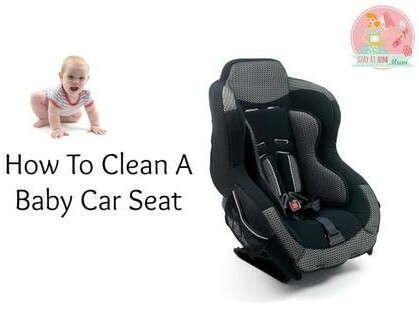 How to clean a baby car seat? Home > Questions & Answers > What is the best way to clean car seats? The first thing you have to know is that the manuals for most child restraint systems include instructions on how to clean the car seat. That said, we understand that the manual may be unavailable or that some people might find it too frustrating to turn to it for something as trivial as cleaning. Because of that, we believe it would be necessary to provide some generalized tips. First of all, you really should make haste. The faster you start working on removing the stain, the better chances you have to remove them completely. Ideally, you should start cleaning the car seat as soon as it has been soiled. Second, we advise that you remove everything that can be removed without scrubbing, cleaning solutions and things like that. Use a baby wipe. Once it is done, wipe off the harness using cool water and a soft cloth. You can also use some soap at this point. After that, you can clean the buckle. Try again if the harness still has an unpleasant odor. It is best to dry the harness in the seat. What not to do? Machine washing is extremely ill-advised, as is the use of abrasives or harsh soaps. All of that can damage the harness in a way that would make car seat use more dangerous. Using a car seat liner to prevent washing it will be the best choice, however.